Tuesday, December 4 brings the 2018 edition of the Fasig-Tipton mixed sale, with the first hip slated to go through the ring at 11:00 a.m. Prior to outs, some 294 hips are on offer, including a big group of horses of racing age added as a supplement after the main book came out. Those horses are included in the online catalog. Missing in action The 294 hips on offer (prior to outs) are numbered 1 through 295. How’s that? Turns out that 198 is missing. It’s an age thing The 103 weanlings on offer make 2018 by far the most popular year of birth. Second is 2015, with 27 three-year-olds in the catalog. The oldest horse is Hip 84, a broodmare named Rhythm in Shoes. She’s 18 and is being sold in foal to Alliance. 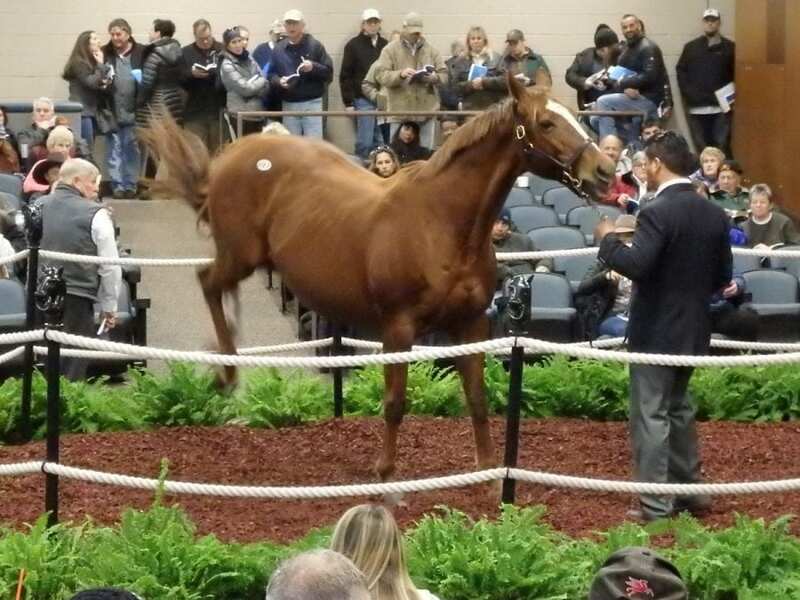 Girl Power Fillies and mares dominate the sale. There are 109 of the former and 104 of the latter on offer, making 213 distaffers. That’s as opposed to 64 colts and 17 geldings. A to Z The sale goes — alphabetically speaking — from A to Z. The first hip alphabetically is number 12, A Lover’s Question, one of five to start with the alphabet’s first letter. And the final hip alphabetically is right next door, hip 11. That’s Zealous Scholar.